- 2 separate bedrooms. 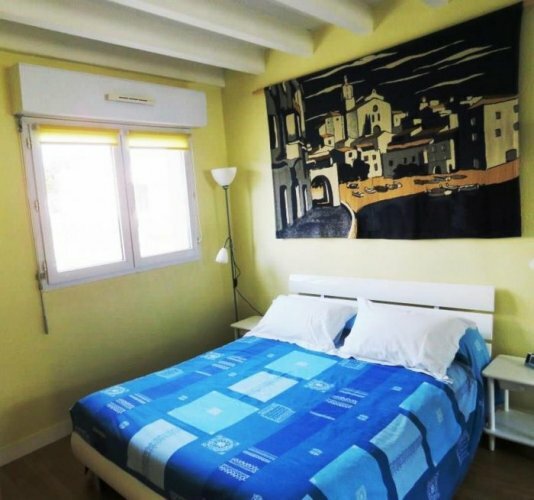 : Bedroom 1 (on the ground floor) with 1 double bed. 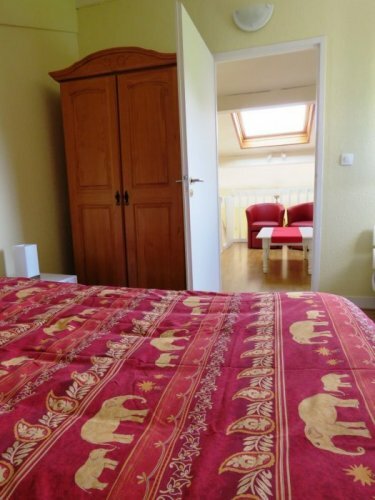 Bedroom 2 (upstairs) with 1 double bed + 1 single bed (baby cot and high chair available). Both bedrooms have good quality beds and storage space. 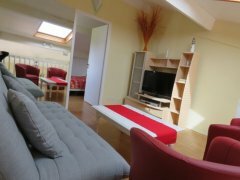 - Comfortable lounge area with flat screen HD television, DVD player and hi-fi system. 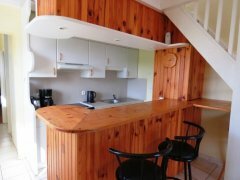 - Bathroom with toilets, bathtub, shower, washing machine, hairdryer, iron & board. - Dining room with a table and 4 chairs. 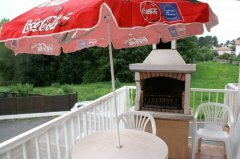 - South orientated balcony with barbecue, garden furniture and a sunshade. 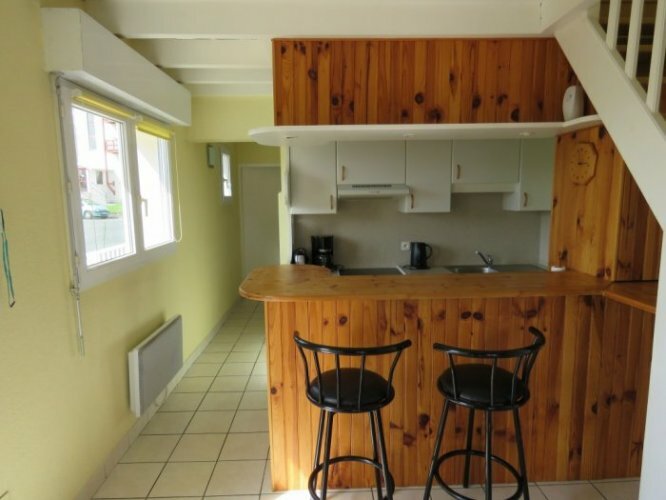 You'll enjoy being in a comfortable environment and yet only 5 minutes drive to many beaches, the center towns of Biarritz or Bayonne with their restaurants and shops as well as two beautiful golf courses (Chiberta and Le Phare). You will just need 2 minutes drive to get to the shopping mall (Leclerc Anglet) with its hypermarket. 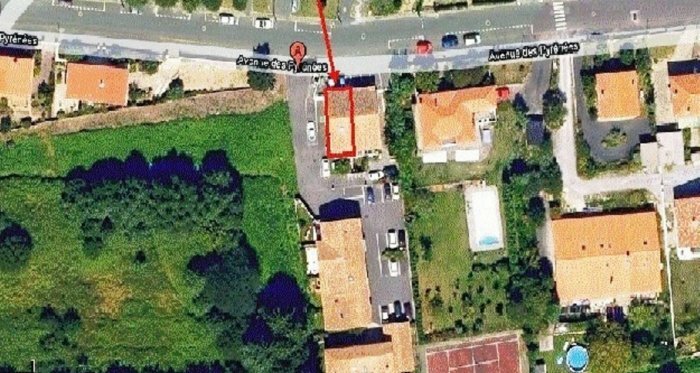 100m away from the house, you will find the bus stop line 5 (St Michel) linking the Anglet beaches and the SNCF train station Bayonne down town Anglet and via Bayonne town center. Outside Amenities: - South orientated balcony with a built-in charcoal barbecue, outdoor furniture (a table & 4 chairs) and a sunshade. 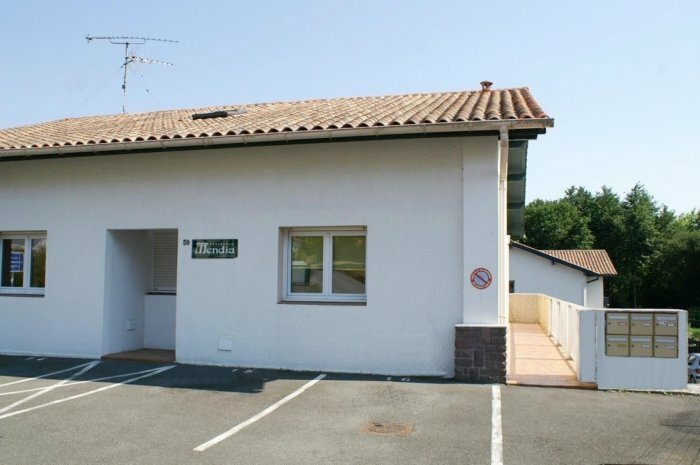 - The property also comes with 2 designated car parking spaces in front of the house. 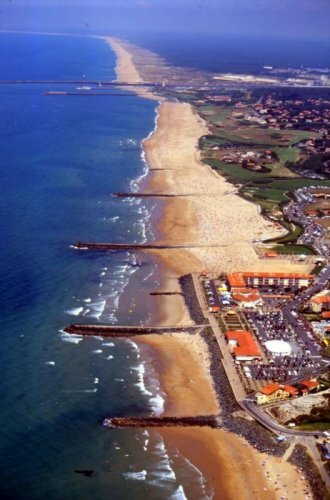 Surrounding Area: Anglet is on the Basque coast in a prime location between the sea and the mountains and at the gateway to Spain. • Starting point for a number of excursions to Landes, Spain, the back country and the Basque Coast. The region is renowned with long sandy surf beaches, world class golf courses, thalassotherapy centers and pretty traditional Basque villages. - But, if you prefer skiing, don’t worry the Pyrenees’mountains are just an hour drive away from Anglet. 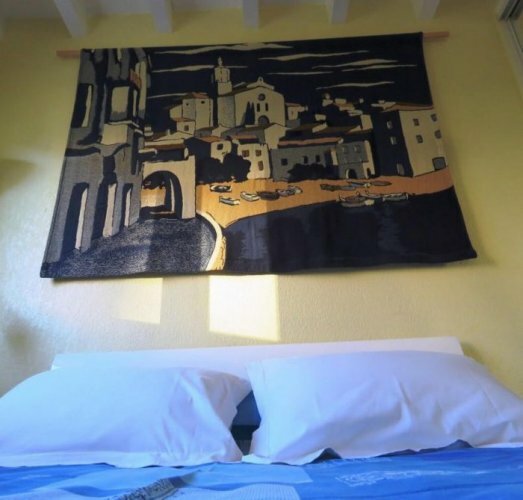 - You can make a tour of Basque villages: Ascain, Ainhoa, Bidart, Guethary, Cambo, Saint Jean Pied de port, Saint Jean de Luz … or visit Spain with San Sebastian (40 kms) or Bilbao (150km) and the magic museum of GUGGENHEIM. 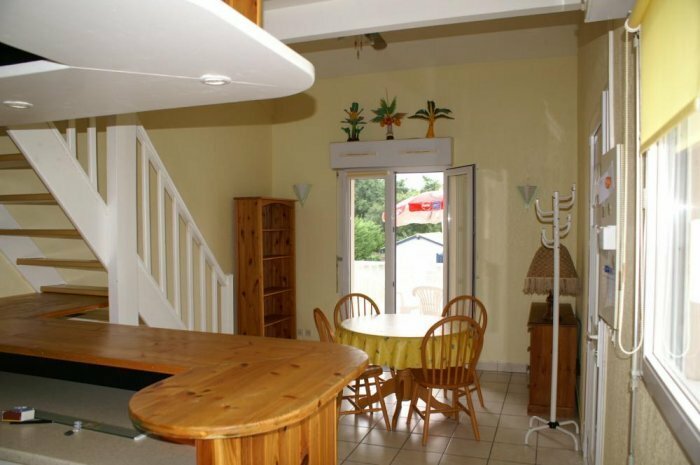 - The residential area of Chiberta is known for its expansive villas and outdoor lifestyle. Golf, tennis, surfing, cycling, ice skating, horse riding, thalassotherapy are all popular pursuits to be enjoyed nearby. 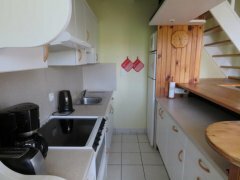 The sandy beaches, and the Pignada pine forest are just a short walk away.... You can walk, go by bicycles, or catch a bus to most places. 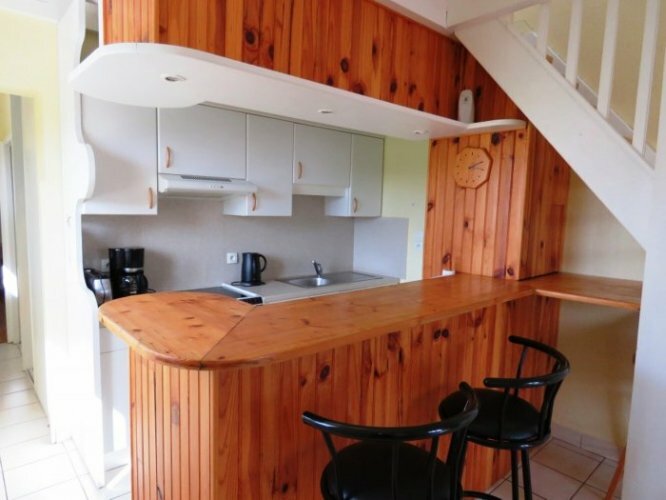 - 300m away from the property, you will find the entrance of Chiberta Forest. 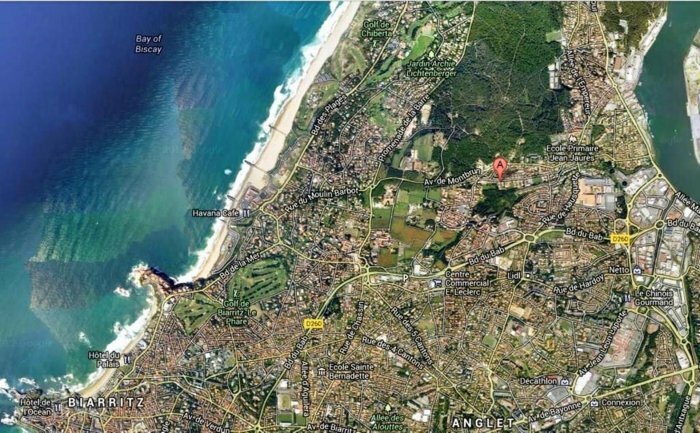 This magnificent pine forest covers 250 hectares and 10% of the area of Anglet. The Chiberta forest is the ideal place for picnicking, walking, cycling, jogging, riding … thanks to its green trails and its cool, shady areas. Head for the delightful shade of the pines and the aromas of resin at Chiberta. Nature walks, cycle trails, pedestrian paths, the health course or the tree-climbing canopy course, there are a thousand and one ways to fill your lungs with fresh air in the heart of the pine forest of Chiberta. 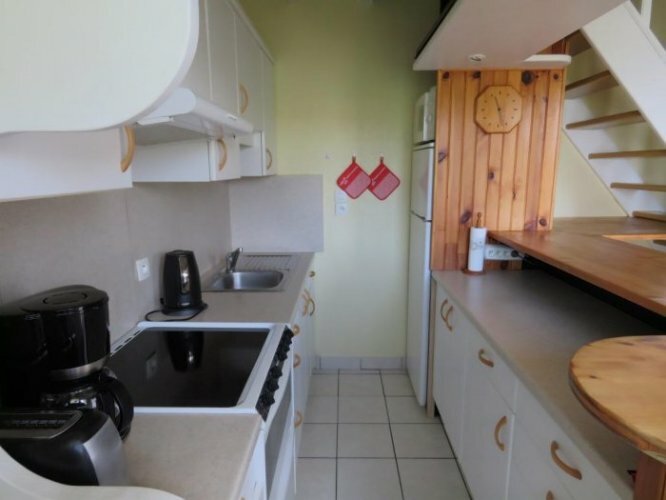 - We have the fantastic good luck to have two excellent boulangeries within two minutes walk. So, you can take a leisurely stroll in the morning to pick up your fresh baguette and croissants. - A fishmonger is located 5 minutes away by car and early risers can find freshly-caught fish from local fishermen. - You should also visit the Quintaou street market on the Thursday and Sunday morning each week … an excellent opportunity to sample much of the locally produced delicacies including cheese, meat, fish and wine. Central heating (Individual electric heaters with thermostatic controls in each room. Plus a hot towel rail in the bathroom.). Mains water. Electricity. WiFi Broadband Internet Access. Television. DVD. Hi-fi. - Cot and high chair is available for baby. 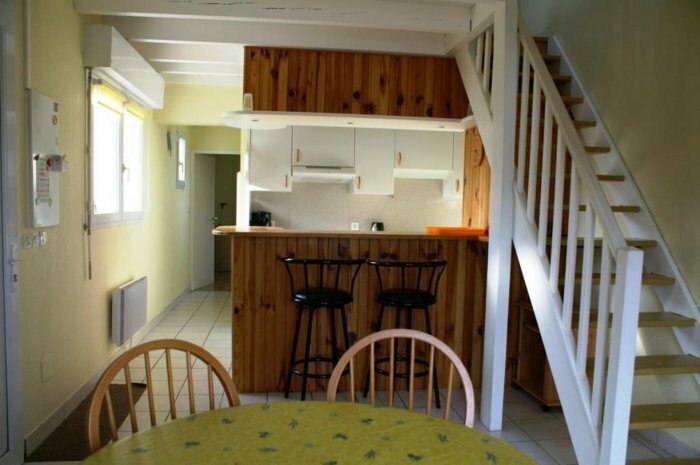 Pricing Info: # The property is rented with monthly rates from September to June included. Rentals are always preferred from Saturday to Saturday. - RENT : depending on season. 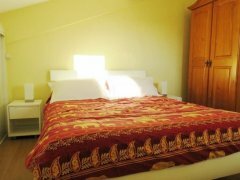 If you are interested in staying for less than 1 month, please consult my website www.leduplexdechiberta.com/english for weekly rates. - CITY TOURISM TAX is due on arrival (1.35€/night/person) and will be collected by the owner for the Anglet Council. # In JULY and AUGUST, this property is only available for WEEKLY SUMMER HOLIDAY RENTALS : 990€ per week (from Saturday to Saturday). 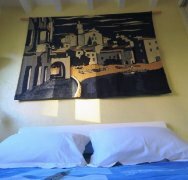 - At the time of booking, a non-refundable deposit of 1 month’s rent is required to secure the booking. - 6 weeks before arrival, the balance + the security deposit of 1 month's rent + the end-of-stay cleaning fee of 100€ + the city tourism tax (1,35€/night/pers) are payable by bank transfer or PayPlug (+2.5% fee). 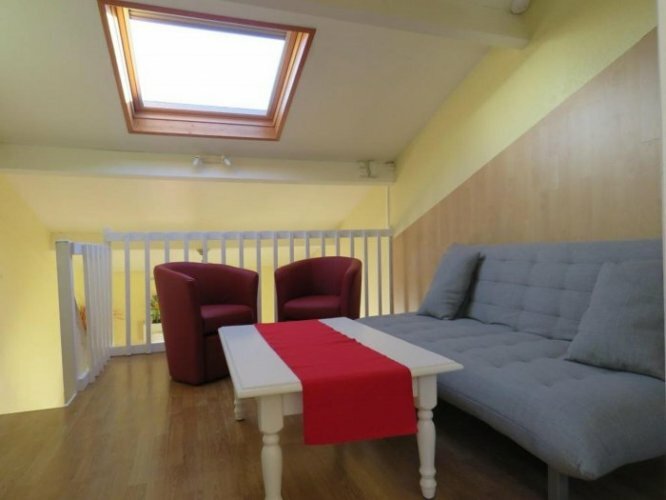 - At the time of booking, a non-refundable deposit of 1 month’s rent is required to secure the booking. Booking deposit applied to final month’s rental payment. - Rent is payable monthly in advance, due on the first of each month. - Towels & Bed linen are available to rent. - Regular cleaning is available on request at extra cost. As a first contact, email is prefered. Please indicate the period requested as well as the number and composition of the tenants.